Google Language translator people add to their blogspot blog or any other website because there is not only one language in this world, people there are they even don't understand English, adding Google Language Translator can give you great help to your blog readers those don't understand English. May be you wanna add Google Language Translator to your blog, it is quiet easy to add. Follow me dear, I will make you to add it to your blogspot blog. Click on the "Layout", as shown on the screen shot. Now select place, where you wanna add this widget to your blog. 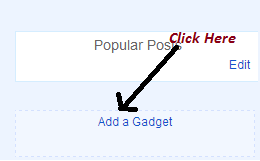 Now you will see the layout of your blog, now click on "Add a Gadget", then a popup window will open. Now Click on Where the below screen shot shows. Now click on "Save arrangement". 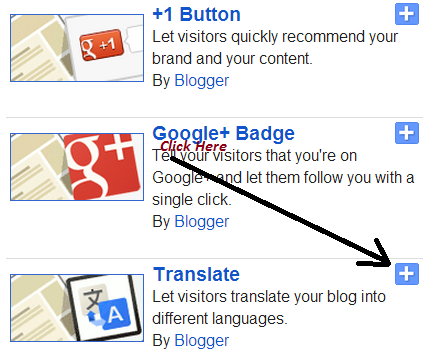 Now view your blog, and hopefully you can see Google Translator to your blog. Here, I am going to share with you benefits of adding Google translator to blog, see if you will follow my steps then you can easily add Google translator to your blog, right. Now, let me share with you few benefits of adding to blog, see previously I did not add this, but later when I have seen users stat there I see people are translating my blog post content and there I realise that I must add translator to my blog sidebar and I did it. You can generate more revenue because popularity of the blog will increase.